After eight-plus months in office, President Trump’s transition effort continues to lag behind those of past chief executives in filling key agency jobs and that may not change despite an approaching deadline under a law limiting the duration of time acting officials can lead agencies. 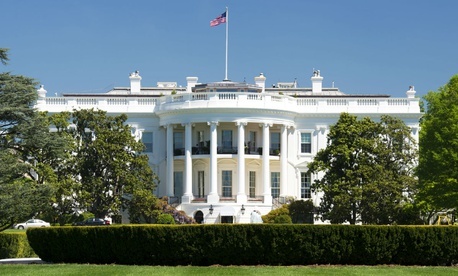 Though the rules under the 1998 Federal Vacancies Reform Act apply deadline pressure, they also offer some flexibility from which the Trump White House may benefit. Out of 601 key positions across government, Trump to date has offered no nominee for 297, according to the latest tracker compiled by the nonprofit Partnership for Public Service and The Washington Post; 14 Trump nominees await confirmation, 161 have been formally nominated, and 129 have been confirmed. The pace of Trump’s appointments, according to the academic-run White House Transition Project, trails predecessors by three months. “Despite special Senate efforts to confirm large numbers of nominees, President Trump has the fewest nominations and fewest confirmations in 40 years,” says the transition project’s most recent analysis—which uses a larger universe of key jobs. Trump is about halfway to where President Obama was in appointing the highest-impact, time-sensitive security and economic positions, according to the project directors. The Republican-controlled Senate’s pace on vetting confirmations, however, is now a week shorter than for the past three administrations, averaging 37 days. Terry Sullivan, a political scientist at the University of North Carolina-Chapel Hill who is executive director of the transition project, said his team’s talks with the Trump White House Office of Presidential Personnel suggest that “they were impressed during transition with the quality of the people in acting positions, which, in their minds, allowed the White House to take their time about finding the right people for the right job.” Despite candidate Trump’s “derogatory language about the federal executive branch being populated by stupid people, they found themselves starting to need the acting people who took over at the end of Obama, so they were not feeling the pressure” to fill the slots hurriedly, Sullivan said. “No matter what party you’re in,” Sullivan added, “people in campaigns always think the senior executive is a lot dumber than they are, and when they come in, they discover they’re not so dumb.” The only recent president who came in with a high opinion of the senior executives, he said, was President George H. W. Bush. The rules under the Vacancy Reform Act are complex, but they basically cap an acting appointment at 210 days, plus an additional 90 days for a new administration. The clock starts ticking, as the Partnership explains, from the date the vacancy occurs, not the date when one individual, or even a second, is named as acting. Hence many of the vacancies occurred when Trump was sworn in on Jan. 20, 2017, but others opened later. The 210-day deadline for those vacancies open during a 60-day period beginning on inauguration day hits on Nov. 15, 2017. The timeline is paused when a nomination is sent to the Senate. Asked whether the Trump administration is keeping the Vacancy Reform act deadlines in mind, an Office of Personnel Management spokesperson said, “Please contact the White House regarding your questions.” The White House declined to make on-the-record comments.